Bottle service has been around for decades as a way to attract high-status patrons and earn high, fast-growing revenue. 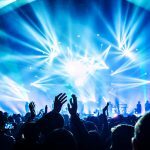 Unfortunately, it’s also become such a standard component to the nightlife scene that many venues treat it as a mandatory guideline rather than a premiere service to their most desirable guests. But getting into this rut is more detrimental to your club than you may realize. While it’s true that bottle service is common amongst most top nightclubs, you’re doing yourself a disservice by treating it as a service for commoners. People expect to pay top-dollar to receive this premier customized service, and if your staff is acting like it’s just another area of your club, your guests aren’t going to get the experience they expect or deserve. Below are 5 tips to make sure your bottle service stands out as a desirable first-class experience. Your guests define your business. After all, without customers, you don’t have a venue. 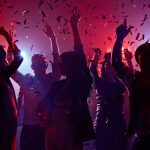 That’s why it’s more important than ever to truly know your audience – they’re what determines what type of club you are and how your bottle service should be executed. But there’s more to the story than simply identifying your audience segment. In today’s ever-changing fast-paced landscape, it’s more important than ever to truly know who your guests are beyond their niche generalization. In order to be truly successful, you need to know the guests who frequent your venue, who spend a lot of money, and who would be considered loyal. A robust customer relationship management (CRM) system that’s tied to your point of sale and integrated into every aspect of your club will allow you to gain a deep insight into your customers and their habits. Too many clubs operate with pen and paper to manage table reservations. Some have graduated onto email as their medium of choice, but this still results in double-booked tables and other errors. It’s nearly impossible to keep track of reservations using these old school processes. Reservations are coming in from different sources, tables are over promised, and what ends up getting marked down isn’t true to what’s actually going to happen that night. That’s where the reservation management system comes into place. Just give your employees and partners access to the system with their own personal login where they can add a reservation for a specific night and choose tables that are only available for that time slot. This streamlines your processes to maximize efficiency and accuracy. And when the reservation system is integrated into all areas of your club, you’re able to capture data about the guest, their party, their orders, and the referrer of the reservation to make better business decisions down the road. VIP guests don’t want to be treated like a number. They should be greeted at the door, walked to their table, offered their personal top-purchased liquors, and attended to by their favorite server. Having a CRM system in place helps keep track of this information to give seamless service from all staff members. What’s more is this CRM system boosts upsales for your venue by recommending items based on the guest’s history and interests. You can also upsell a non-VIP customer before they even walk in your door by identifying them in line. 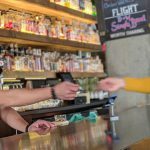 The CRM system will tell you if a guest is a regular attendee, which means you have the opportunity to upsell them to bottle service right then and there. The personal treatment you’re able to offer will provide your guest with a better experience, making them more loyal and more likely to refer friends to your venue. You can’t afford to run out of a top client’s favorite bottle before he even arrives. That’s where your analytics system comes in. It’s hard to predict the type and amount of liquors to purchase without data. Take time to analyze history and trends of the bottles that are being purchased in your club, especially by your regular guests. Having a system like this in place not only helps you to better plan, but it also strengthens customer experience and allows you to make better business decisions to earn more profit. Because your CRM system tracks important customer activity, such as when they come to your club, how much they spend, what they drink, and how many people they bring with them, you’re able to send more targeted, personal and relevant messages to individual guests. This means you’re able to use filters to segment your customers into specific targeted audiences, which in turn means each audience gets messages that are 100% relevant to their habits. That’s powerful marketing and that’s what continues to drive guests into your venue. Your bottle service shouldn’t be “out of the norm.” Make it personal, make it exceptional, and make it tie back to your data so you can keep improving it month after month. Whitney Johnson is the global director of marketin at BookBottles. Contact her at whitney.johnson@bookbottles.com.